What changes did OSHA make? Fall protection system flexibility – Employers may now choose the accepted fall protection system that’s best suited to their particular workplace. Guardrails are no longer the mandatory method of fall protection. Personal fall protection system changes – Following recent changes, personal fall protection systems must meet performance, use, inspection, and maintenance requirements. Body belts are now prohibited in personal fall protection systems. Scaffolds and fixed ladders – All scaffolds are required to meet OSHA’s construction scaffold standards. Existing fixed ladders over 24 ft in length must be equipped with a cage, well, a ladder safety system, or a personal fall arrest system no later than November 19, 2018. Fixed ladders installed on or after this date must have a personal fall arrest system or a ladder safety system. The use of cages and wells as a means of fall protection is being phased out on November 18, 2036. Additionally, “Qualified climbers” are no longer exempt from this requirement. Employer inspections – New changes require that employers regularly inspect walking-working surfaces, and guard, repair, or correct hazardous conditions as soon as possible. Rope descent systems – You may not use rope descent systems at heights above 300 feet above grade, unless it is impossible, or more dangerous to use another system in the given situation. In the event that you do need to use this system, the anchorages must be inspected, tested, certified, and maintained to support at least 5,000 pounds per employee. Building owners are required to provide this information, and employers must obtain it before allowing employees to use the system. Training requirements – Employers are required to train and retrain employees who use fall protection in a way that makes sense to the employee. To make sure that your company is compliant with these new OSHA standards, you’ll want to update any training materials associated with fall protection and walking-working surfaces. In most cases, this means you’ll have to update any courses on scaffolding, fixed ladders, personal fall systems, walking-working surface, guarding floor and wall openings, and slips, trips, and falls. Then, you’ll need to train your employees with those new, updated courses. How can online safety training help? Walking-Working Surfaces Parts 1 and 2. Please note that we’ve made a few changes to the structure of these courses. 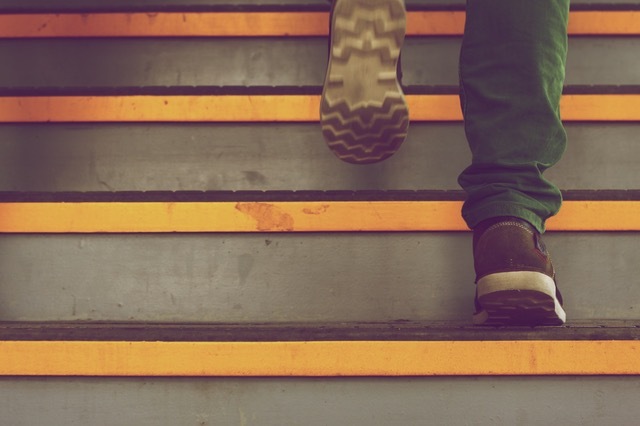 Every course has been updated to reflect the new regulations, but it’s good to know that Walking-Working Surfaces is now a two part course, and you’ll have to have employees take both courses to meet compliance requirements. Additionally, you won’t find the Guarding Floor and Wall Openings course on our course list anymore, because it’s been integrated into the two-part Walking-Working Surfaces course. If you’re interested to see how eSafety might help your company speed up the compliance process, check out our free trial login. With your free login, you’ll be able to navigate around our management system to see how you can find the courses you need for compliance. If you have any more questions about how the eSafety Learning Management System works, submit a request for a quote online, and we’ll be in touch!